You can use this new square pattern in any type of decoration (e.g. potholders) or blanket and rugs. It’s unique, simple to make and at the same time very, very decorative. 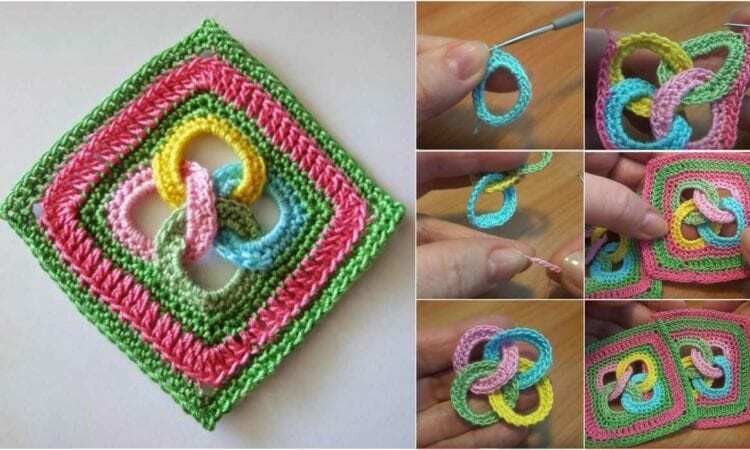 Below you will find two patterns of rings and a detailed video tutorial. Just try it, you wan’ t be disappointed! For more free designs every day follow us on Facebook. Link to the free pattern is below. Square with Interlocking Rings – Free Crochet Pattern is here. You can also see Free Crochet Pattern of Friendship Ring Square which based on a similar concept >>>> here. Video Tutorial is below. Don’t forget to Like us on Facebook. Share your ideas and your work on our Facebook group.